Now you can brew a cup of tea from the magical world of Wonderland. 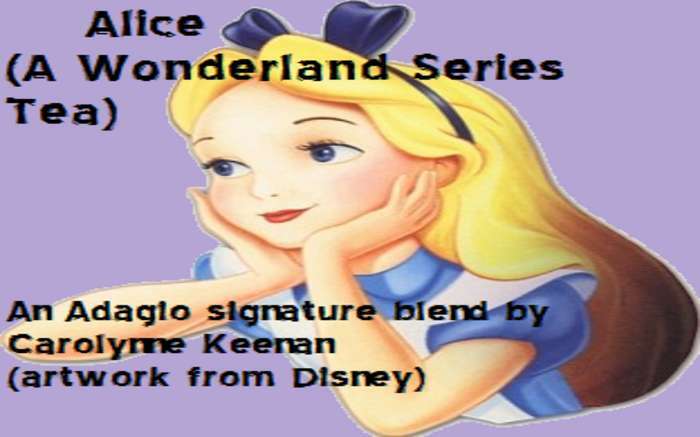 This Alice tea combines sweet Vanilla Oolong, fresh strawberries and tart cherry green tea for an exciting adventurous brew - just like Alice herself. The Wonderland Series includes characters from my all-time favorite story. Alice inspired me to be adventurous, inquisitive and imaginative.